> Georgia > Events > Should Georgia enter NATO? 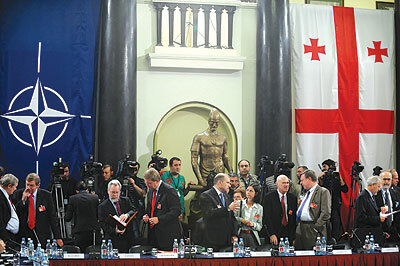 Should Georgia enter NATO? is ready for your opinion, support and vote. Vote online NOW! Click, if you support the Georgia entry into NATO. Explain, why. Click, if you are against the Georgia entry into NATO. Explain, why. Online election results for "Georgia entry into NATO - support" in graph. Kira - in poll Should Georgia enter NATO?